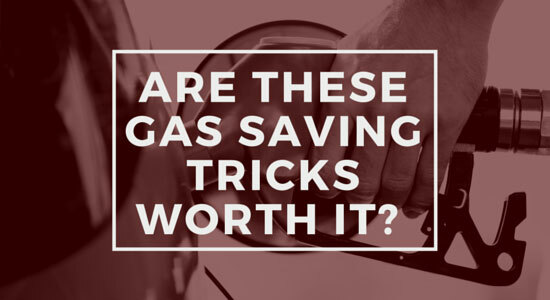 Are These Gas Saving Tricks Really Worth It? Whether in an effort to live a greener lifestyle, or save a few dollars at the gas pump, drivers across the country are becoming increasingly concerned about reducing their fuel consumption. Concerned consumers who aren't quite ready to purchase an electric vehicle or ditch driving all together may choose instead to conserve fuel by altering their driving practices. There are countless tips and tricks to get the most bang for your buck out of your gas mileage, but some of these techniques skirt the line between economically responsible and dangerously irresponsible to yourself and your fellow drivers. 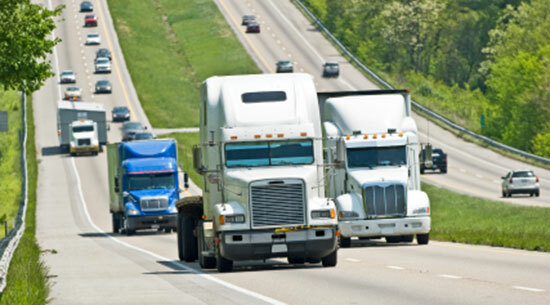 In an effort to reduce the effect of drag on their car during long road trips, some drivers will follow very closely behind a larger vehicle, such as a truck, to save fuel. This technique was even prominent enough to be tested on the show Mythbusters. While MythBusters' tests did indicate an increase in fuel efficiency when tailgating an 18-wheeler truck at high speeds, the show made it a point to stress the extreme danger of employing this tactic in real life. Following closely behind a large truck on the highway can have deadly results if one of the truck's tires malfunctions. At high speeds and close distances a chunk of ejected rubber can seriously injure, if not kill, a driver who is following too closely. On a highway, always maintain a safe distance between you and the vehicle in front of you, so you'll have enough time to brake in an emergency situation. 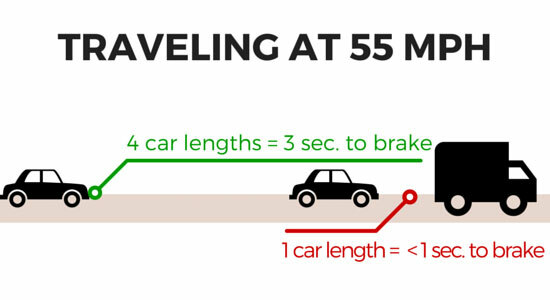 When traveling 55 mph, the recommended safe distance to drive behind another vehicle is roughly 240 feet. A good rule of thumb is to always leave 4 car lengths between yourself and the vehicle in front of you. If the vehicle ahead stops suddenly, you will have about 3 seconds to safely brake or stop. Some Hypermilers drive as close as 10 ft. behind a truck, which gives a driver less than 1 second to stop their vehicle in an emergency situation. Be responsible on the highway, and leave this hack at home on your next road trip. To save fuel, some drivers refuse to travel over 55 mph. Rapid acceleration at a very high speed is roughly twice as detrimental to fuel efficiency as accelerating at a moderate speed. So, for a car to accelerate from 40 to 60 mph requires less fuel than accelerating from 60 to 80 mph. While avoiding very high speeds isn't necessarily a bad thing, going only 55 mph when all other traffic is moving 70 mph on a highway can be dangerous to everyone. It's best to avoid this old gas-saving adage, and travel at the posted speed. This idea, also the delivery strategy of UPS, is based on the principal that idling while waiting to turn against oncoming traffic wastes time, fuel, and therefore money. At any given intersection, there are typically far more vehicles traveling straight through a traffic light than vehicles that are making a left-hand turn. Left-turning vehicles waste time and fuel as they wait for a break in oncoming traffic...as well as the time and fuel of the cars behind them. 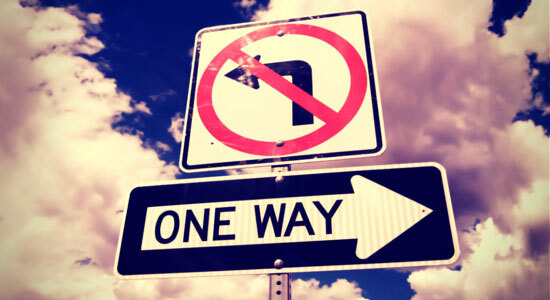 In a recent study, intersections where all left-hand turns were re-routed so that drivers were forced to only make right turns, led all vehicles involved to arrive at their destinations 20% faster. This method is proven to be effective in saving drivers time, which therefore leads to a net effect of fuel savings. But is this method safe? Actually, it is. Avoiding left hand turns not only saves you time and gas, but it also makes the roads safer for everyone. Federal reports show that 53.1 percent of cross-path crashes involve left turns, but only 5.7 percent involve right turns. That's almost 10 times as many crashes involving left turns as right. Left-hand turns are almost 3 times as likely to cause a fatal pedestrian accident, and are involved in 36% of fatal motorcycle accidents. While some gas saving tricks are more hazardous than helpful, this one is both fuel-efficient and safe! Hurt by a Careless Driver? Some drivers ignore warnings and drive carelessly, which creates a hazardous environment for everyone. If you or someone you care about was hit by a careless driver, you may have serious injuries to deal with. You might have piles of bills and wonder how you're going to make ends meet. When you have questions, contact Edgar Snyder & Associates for answers. Call 1-866-943-3427, or fill out the form at the top right of this webpage for a no obligation, free legal consultation. “Mythbusters and Hypermilers--Don't try this at home!” Env-econ.net. June 1, 2015. “6 Driving Tactics to Save Gas this Weekend.” Popular Mechanics. May 29, 2015. “Why Left-Hand Turns Are Burning A Hole In Your Wallet.” BusinessInsider.com. March 15, 2012. “The case for almost never turning left while driving.” Washingtonpost.com. April 9, 2014.